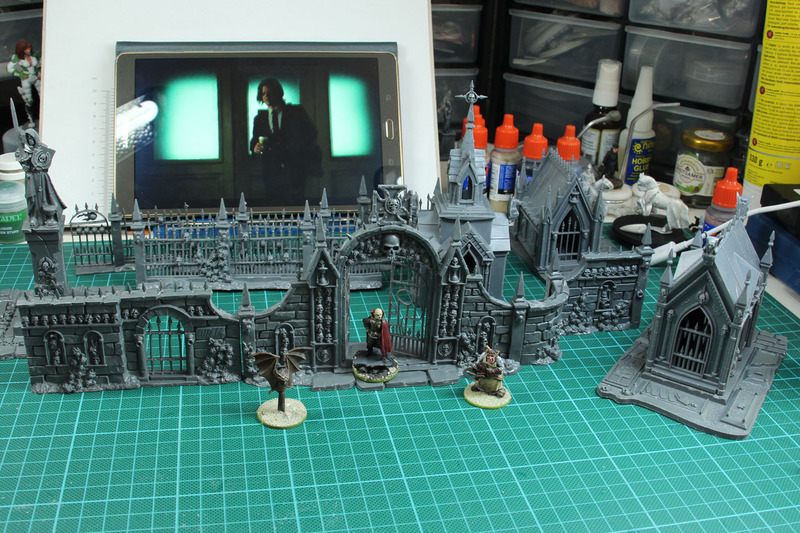 Morrs Garden and some parts of the Aegis Line / Bastions were still in sprues, as i found them. 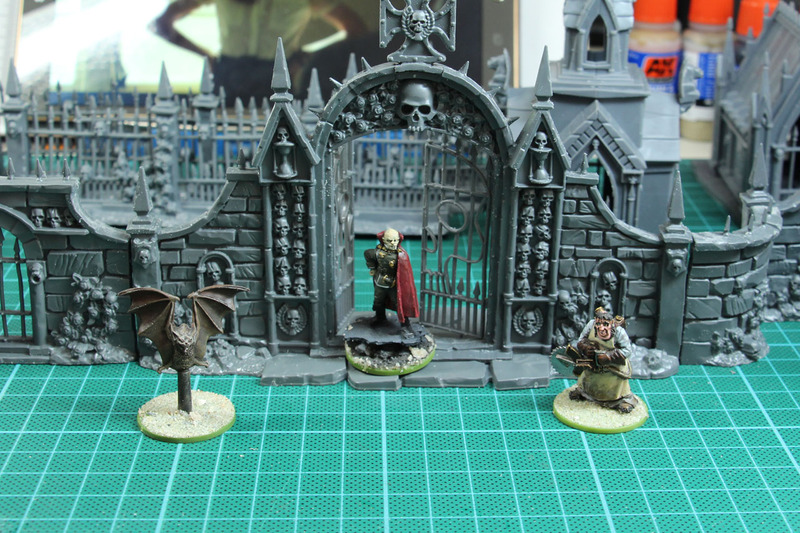 I like the Morrs Garden kit, as it does not only fit into Warhammer Fantasy, but might be used for any Dark Fantasy or even Pulp settings. Do you remember the scene in Return to Castle Wolfenstein, when you fought Heinrich I at the cemetery? Let's take a look. 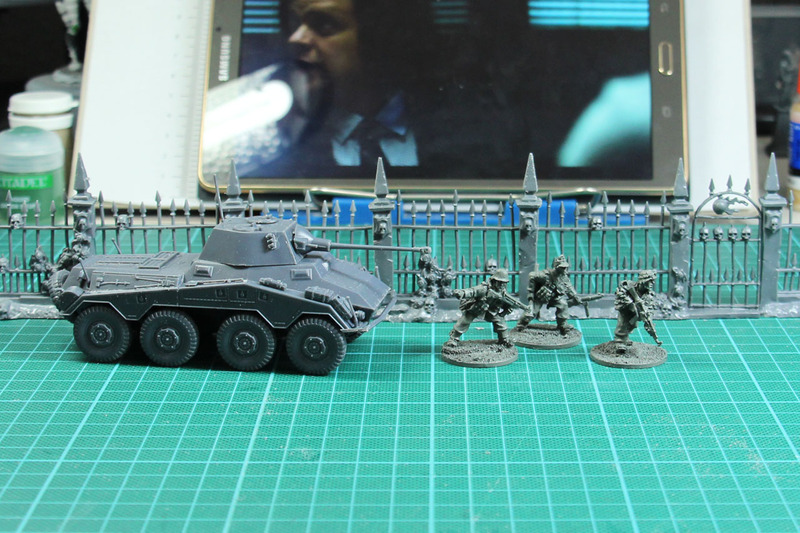 The bulky scale of the warhammer terrain works well with the Bolt Action range, as you can see with the Puma and some germans. And a better fit with the vampire, bat and crazy doctor - used as a medic. 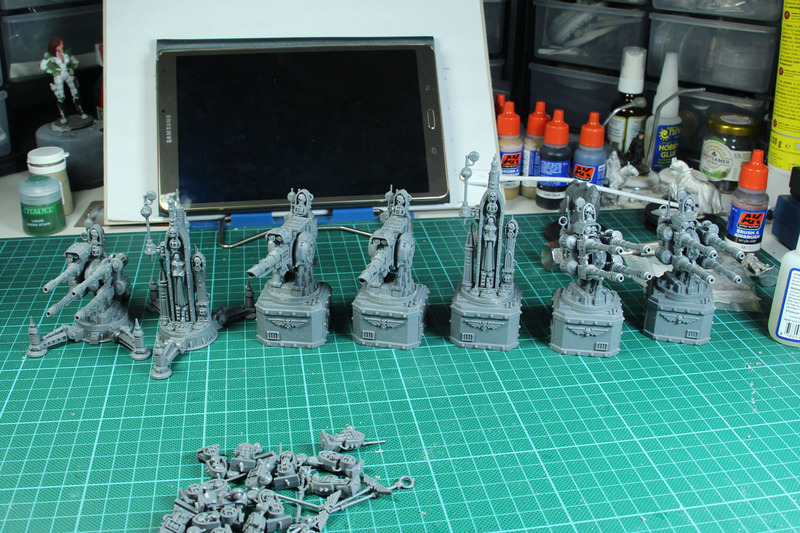 It is a really nice cast and together with the renedra graves the whole set can be enlarged to quite a huge area on the table. And then there are these heavy guns, Icarus Laser cannon, a quadlinked autocannon and some relays emitter. Generic sci-fy stuff, that can be used with any more or less grim dark setting. Having a solid collection of terrain is the back bone of any upcoming game. Stay tuned.